Furthermore, Node JS offers back-end and user-friendly front-end developments. Node JS solutions are backed by IBM, Microsoft and Intel. It includes a strong community and offers compatibility with all browsers and servers. Connecting with an experienced professional is the best option to avail advanced Node JS solutions. Our experts at Tech Support Dubai make your vision as ours and analyze your query thoroughly. By connecting with us, you will be working with experts who are well equipped with relevant information. As soon as we understand your concern, we make sure that we provide a solution which adheres with the latest tech. Check out the premium services we provide to our customers. 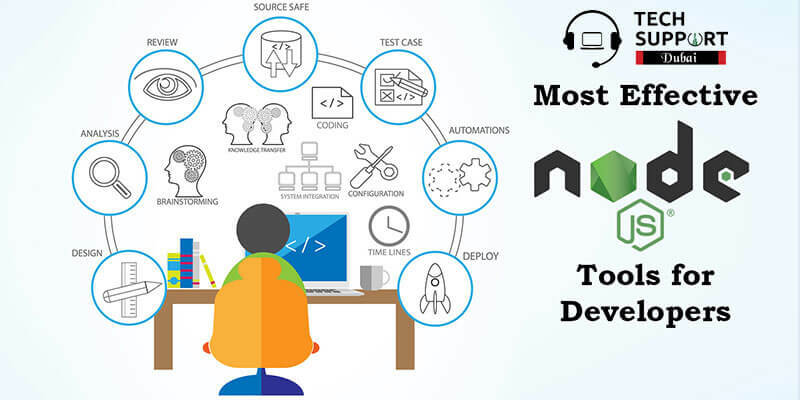 You are requested to call at our helpline number:042053349 to connect with our experts at Tech Support Dubai and avail reasonable Node JS development services . Additionally, you can drop a mail or chat with our experts in real-time during busy hours of the day. They will guide you thoroughly to develop a scalable web application by offering easy Node JS solutions at the earliest.